This is yet another beautiful silk in our silk production line. This one looks like a chess board and is perfect for cane or wand work. A beautiful streamer made of fine silk. This can be used in many ways, including effects in which two hankies appear to blend together and become one. This creates a wonderful transformation which never fails to surprise audiences. 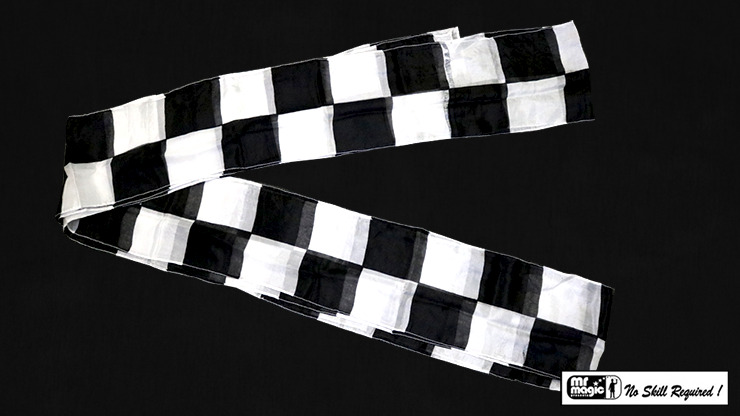 This particular streamer is 6 inches by 18 feet, and is decorated in a black and white chessboard pattern.